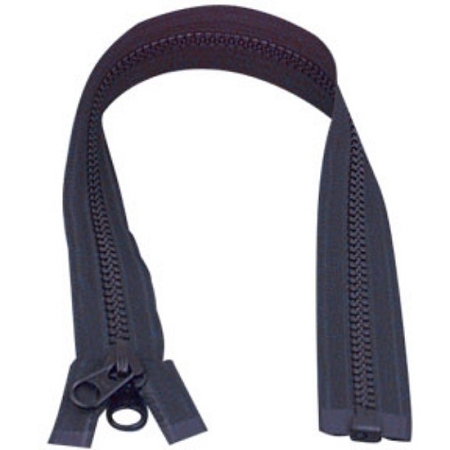 YKK #10 Vislon® Separating Zippers have long been the dominant player in the Outdoor/Marine zipper industry. Vislon takes weather well, is unaffected by moisture, does not support mildew and has a clean smooth appearance. 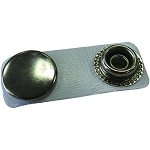 Includes a double enamel coated zinc non-locking slider. 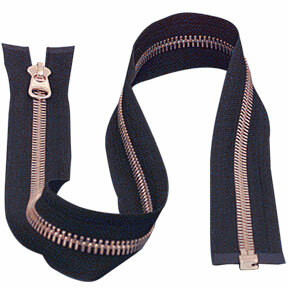 #10 YKK® Brass Separating Zippers are sturdy, attractive and handles humidity and cold easily. Ideal for outdoor use in garments, tops, bags, etc. 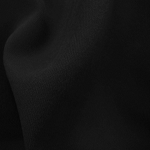 Frequently used in leather jackets and other traditional garment applications. 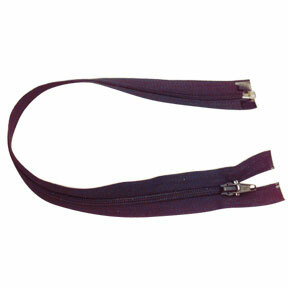 #10 YKK® Aluminum Separating Zippers are sturdy, attractive and handles humidity and cold easily. 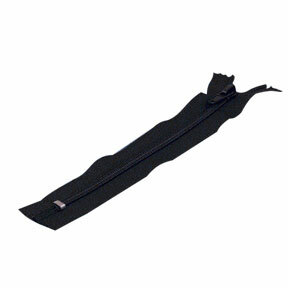 Ideal for outdoor use in garments, tents, pop up trailers, sleeping bags, etc. Aluminum Teeth with black tape. #8 YKK Vislon® Separating Zipper. 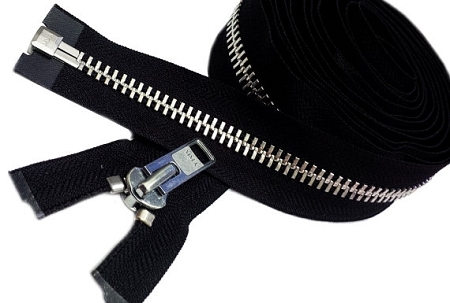 YKK Canada uses the brand name Vislon® for its premium line of delrin zippers. These zippers have a smaller tooth compared to the #10 Vislon® Seperating Zipper and are commonly used in marine canvas. #5 Coil Zippers have Auto-lock sliders that stay put until the tab is lifted and the slider is moved. The #5 coil has a flat, low profile that will not intrude into fashion designs. 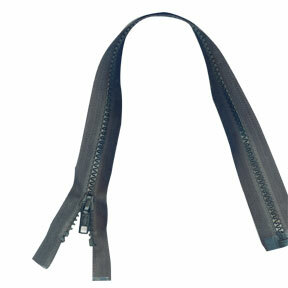 These are separable zippers which are suitable for use in garments. Separating #5 Delrin Open End Locking Zippers are unaffected by moisture, does not support rot or mildew, and has a clean attractive appearance. They are Extremely strong, lightweight, corrosion resistant and self lubricating to a degree. Useful in Garment and Sport Bag applications. 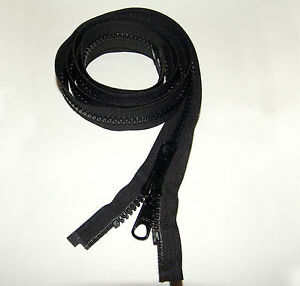 #5 Coil Closed End Zippers were designed with garment and bag pockets in mind. One end of the zipper is permanently closed and does not separate.